Valtteri Bottas says that his chance of winning the Chinese Grand Prix disappeared at the start of the race. The Finn, who started from pole position, was jumped off the line by teammate Lewis Hamilton, who went on to take the win unchallenged. 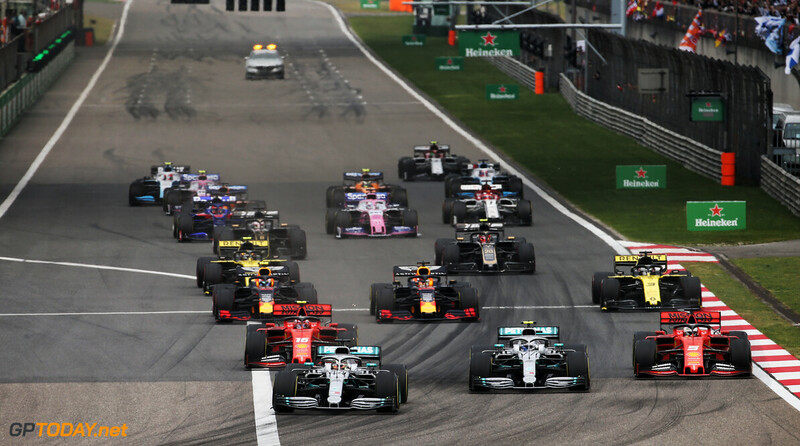 Hamilton takes over the lead in the championship, as Bottas held it after the opening two rounds of the year. "I think I lost it in the start, honestly," said Bottas. "Otherwise the car was feeling OK and the pace was similar. But in the first stint, in the dirty air, I couldn't follow. "It was a shame about the start. I got some wheelspin as I went over the white line, the start/finish line, which is immediately after my [grid] box, so I lost it there." Despite being disappointed to miss out on the race win, Bottas says that he can be proud of his opening three races of the year, as Mercedes has secured three 1-2 finishes. "It is small details [that cost Bottas] but it is early days in the season, things are looking good," he stated. "I am really proud for the team we've done three perfect weekends so far that is very good." Race-winner Hamilton concurred with Bottas that the start made all the difference in the outcome of the race. "The start was really where I was able to make the difference and after that it was history. It has not been a straightforward weekend but what a fantastic result for the team. Everyone has worked so hard. "We came here and didn't know where we would stand against the Ferraris, as they were so quick in the last race."